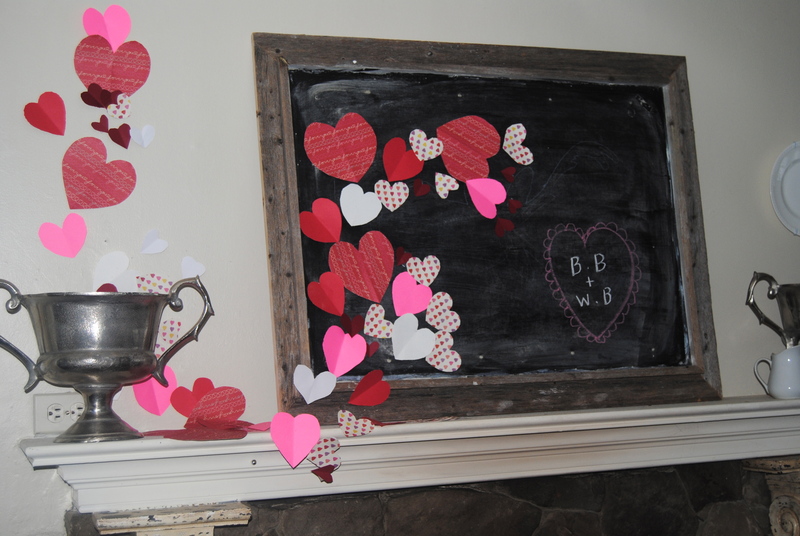 I can’t believe its Valentines Day already. 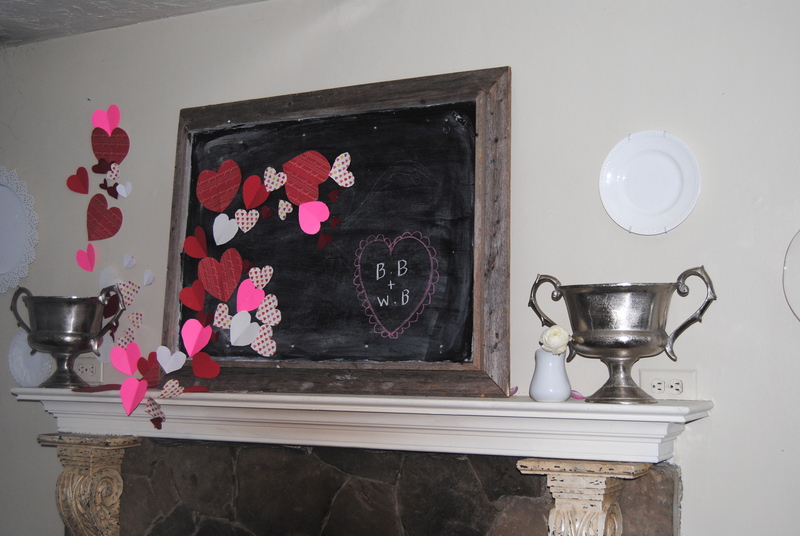 I decided to incorporate my chalkboard and mantle for a “flurry of hearts” which is very appropriate for New England – snow flurries almost daily! 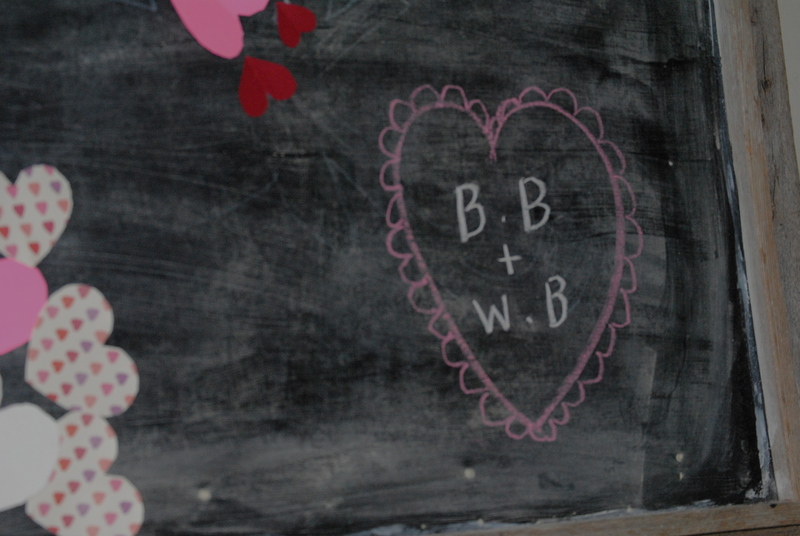 Anyway back to V-Day. 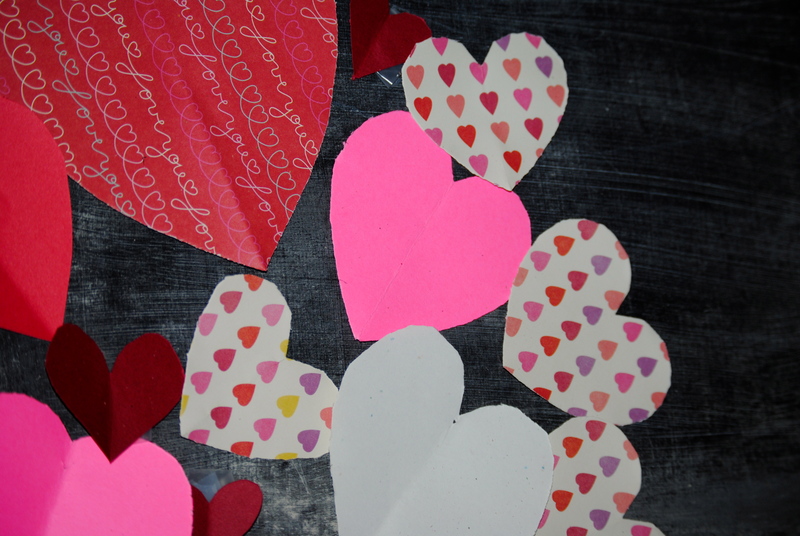 I found some unused scrap book paper with hearts as well as pink and red solids.